THE VERMEER BOAST TIMELESS ARCHITECTURE, CONTEMPORARY FINISHES, AND THE KIND OF LAVISH TOUCHES YOU WOULD EXPECT FROM VANCOUVER’S MOST REFINED RESIDENCES…and only 13 of them. There is nothing else like it in Vancouver. It is truly a new Kitsilano Landmark and I guarantee you it will be one of the of most iconic buildings in Kits. I viewed the suites yesterday with my client and then today I had the honour of being shown this unrivalled piece of architecture by the Developer. He was so very passionate and so proud of The Vermeer and I was in absolute awe of the incredible information he shared with me about the finest details and how the Thomas Family brought their vision to life. A extrordinary, memorable experience. Created and brought to you by Thomas Properties Developers,James Bussey, Principal Architect at the well respected firm, Formwerks Architectural & Interior Design, Kindred Construction Ltd. And the following artisans: Tony Rojac Architectural, Stone Masonry, Gilroy Stained Glass Vancouver and Dalbergia Wood + Fine Objects. Please visit their website http://www.thevermeer.ca/design/ or better still, they are open this weekend - November 2nd & 3rd. 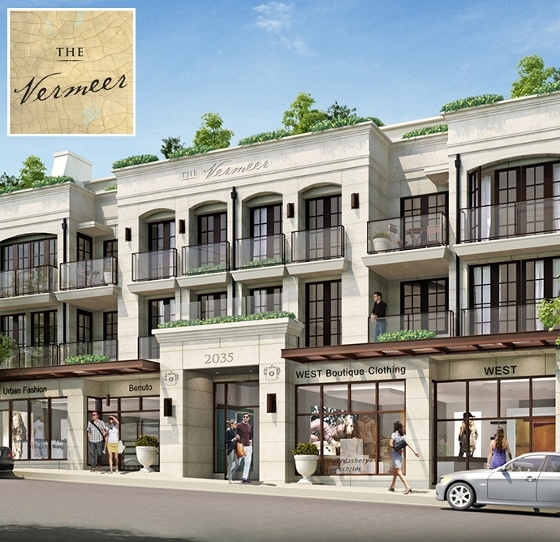 I have become pretty familiar with the remaining suites, and would be very happy to represent you in the purchase of this New Kitsilano Landmark - The Vermeer! Please call me at 778-881-8392. 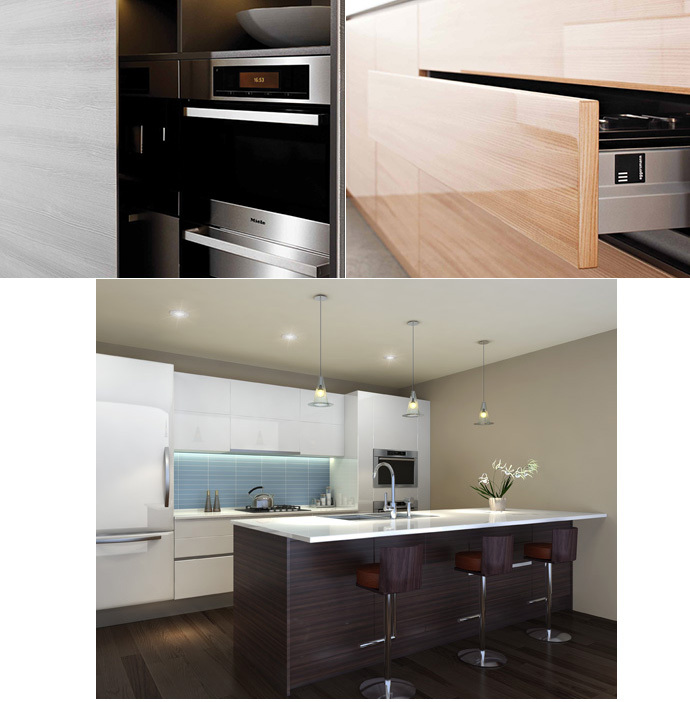 Eggersman high-gloss, soft-close cabinets with textured laminate islands by Inform Interiors.